Blair comes from a long line of jewelry artists on both sides of her lineage, ranging from Alaska to Colorado and everywhere in between. Her family has been creating and collecting jewelry for 112 years; and Blair artfully takes the crown with heart and art, refreshing the tradition with her own unique style. Her artisan Americana jewelry is handmade in the United States by Blair herself and locally produced in Brooklyn, NY. All of Blair’s work is ethically made. In a world that moves 100 miles an hour and is consistently looking for the quickest and cheapest way to do things, without thought to the repercussions, Blair is a breath of fresh, Alaskan air. 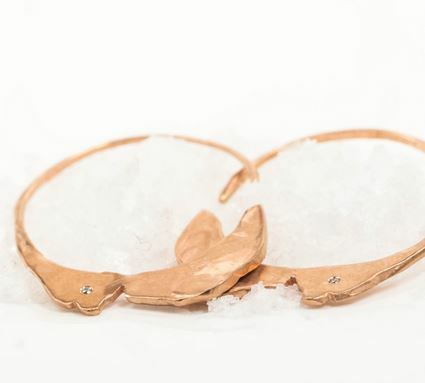 While Blair’s pieces are made in New York, her raw gold is sourced from Alaska through relationships that her family has maintained over the years. An artist and quiet activist committed to sustainability, her work is a testament to the fact that jewelry design can be ethical, unique, environmentally aware and humane. As one of the first signatories of Earthworks Action Organization’s “No Dirty Gold Pledge” in 2007, Blair had decided long ago, before trends, that her brand was about sustainability. In addition to sustainability efforts, Blair supports and creates collections for specific humanitarian and social endeavors and causes such as 1% for the Planet, the Breast Cancer Fund and the Telluride Aids Benefit to name a few. As you can see, Blair has a unique penchant for “nugget” jewelry, 24K solid, unadulterated raw gold as it is found!!! (THANK YOU BLAIR!!!) , no doubt gained from her love of the pure and raw outdoors, and her family’s gold history. The simplicity in these rare gold nugget pieces shows a modest elegance. 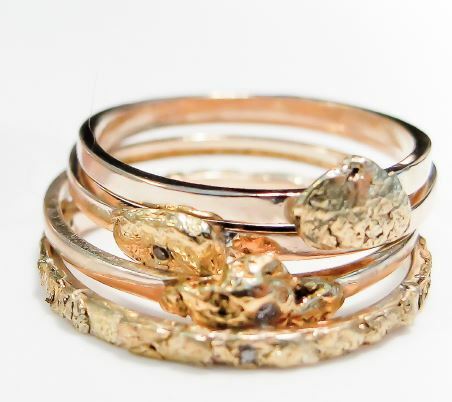 Any gold that is not in raw form that Blair uses for her collections is reclaimed and recycled gold. 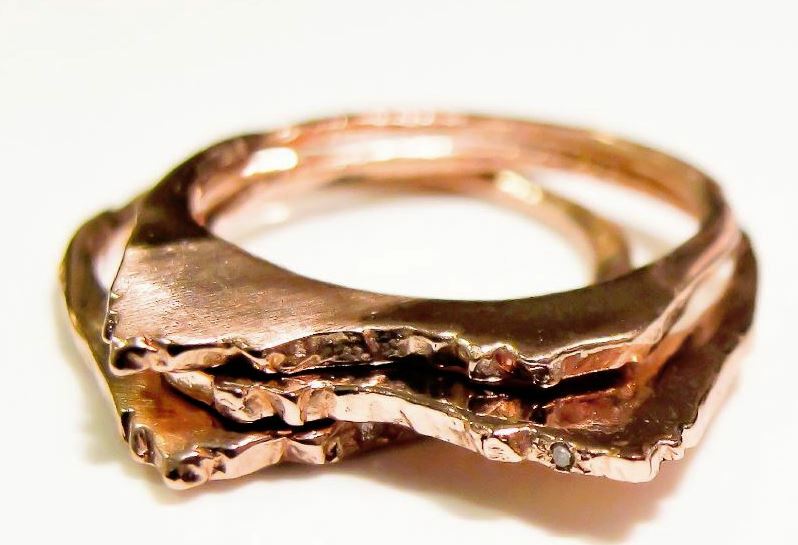 To go a step further, all of the reclaimed and recycled gold that Blair uses is from Harmony Metals, a certified refiner of recycled gold and silver. It looks like Blair is covering all bases: unique design, raw aesthetic, an elegance only seen in nature, and solid practices and spirit to contribute to and better the world we live in – through art and action. All images courtesy of Blair Lauren Brown Jewelry. Yes and thanks @ Ginikachi ! and beautiful name!